I had some fun with this card. I tend to only use one size of card base, but this time I folded it so it became a smaller card. The paper was cut to 4-1/4" x 11"... I then scored at 5-1/2" like usual to make the center fold, the I scored on the other side of the paper at 2-3/4" from each end. Fold in a zig-zag pattern and done. 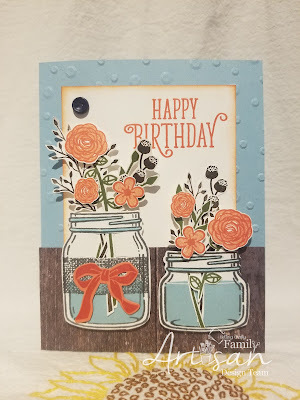 The finished card is 4-1/4" x 2-3/4". 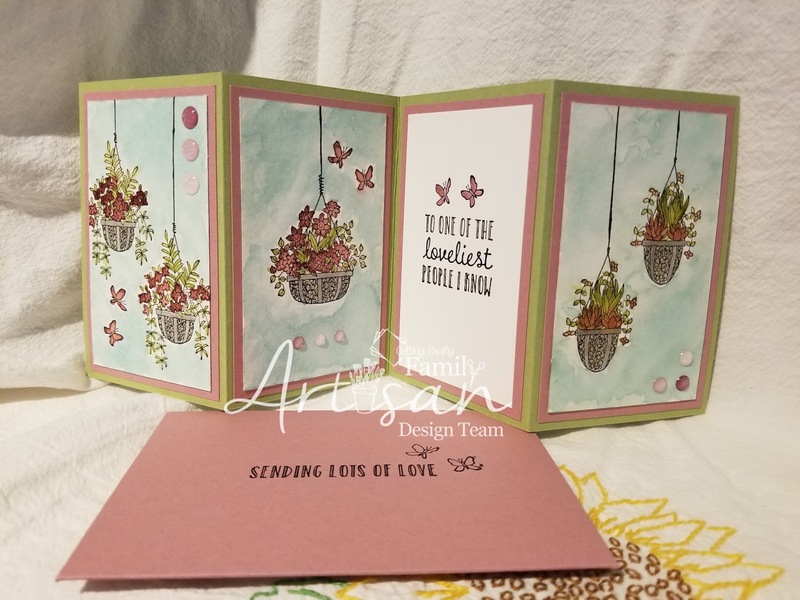 I had to use my Envelope Punch Board to make an envelope to contain this smaller size card. 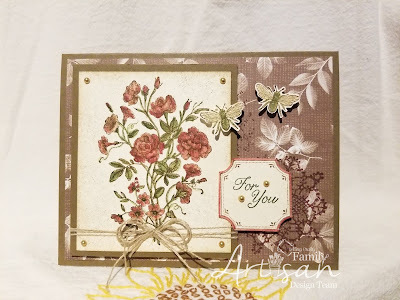 I love this fold because it really allows you to give a piece of artwork to someone.